We serve eastern North Carolina BBQ with a no fuss attitude so you will be guaranteed an authentic southern culinary experience! Allen & Son in Pittsboro is known for eastern North Carolina style chopped BBQ. 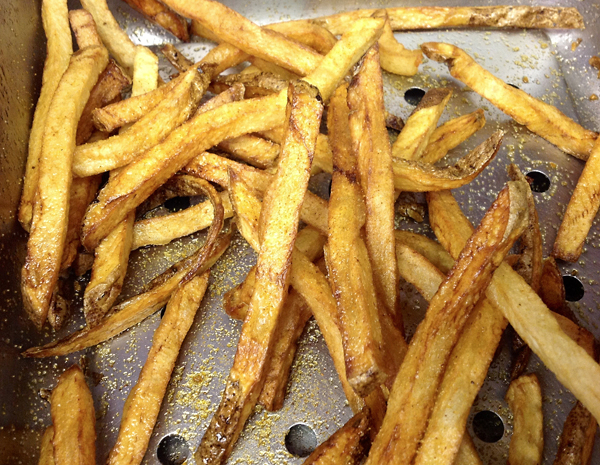 Our homemade french fries are sliced fresh daily from whole potatoes which make all the difference! They are one of the most popular items on our menu! Stubbs and Son BBQ in now in Sanford and it’s quickly become THE place in Sanford to get authentic BBQ. In 2013 Jimmy opened Stubbs and Son BBQ in Sanford and it’s quickly become THE place in Sanford to get authentic BBQ. Come hungry, we know you will go home satisfied and glad you came. Homemade fish sandwiches are one of our most popular menu items. Our delicious catfish sandwich paired with our homemade french fries can't be beat! Call today to order ahead for pick up! If BBQ isn't your thing then you will be pleased to know we have much more on our menu to satisfy your cravings. Call Sanford: (919) 776-8887, Carthage: (910) 947-4800 or Pittsboro (919) 542-2294. We accept Visa and Mastercard.